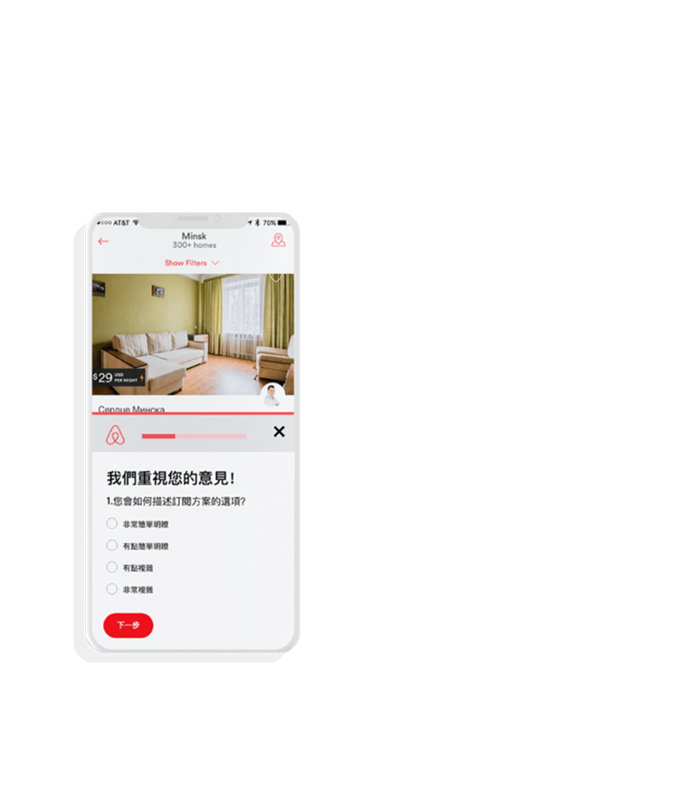 Use Ethnio to intercept respondents from anywhere in your product ecosystem. You can intercept through web or iOS/Android. 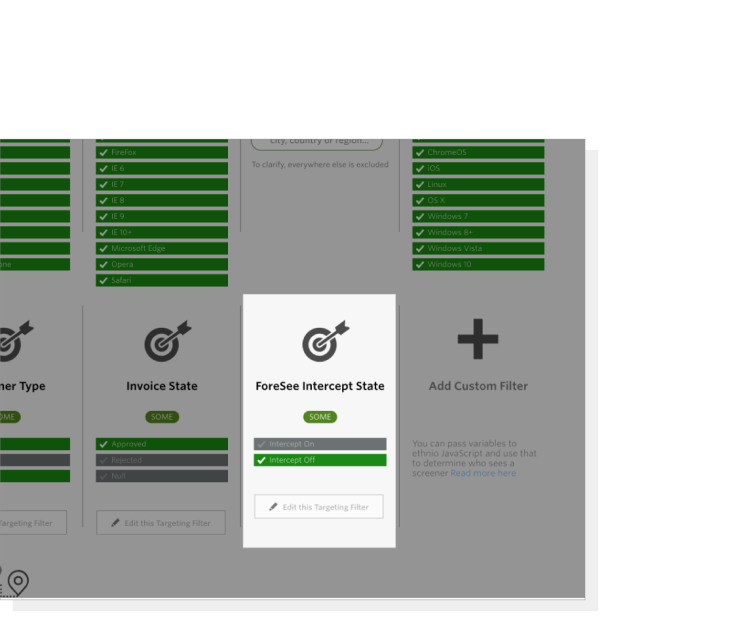 Customize your intercepts with 30+ targeting variables to gather the right feedback in the right place in your online journey. Control exactly when and where your intercept appears using variables. Ensure visitors don’t get bombarded with more than one intercept at any given time with Ethnio’s intercept exclusivity. Limiter automatically shut-off after you get a certain number of responses. Timer choose the dates, times, and days of the week your screener will appear. 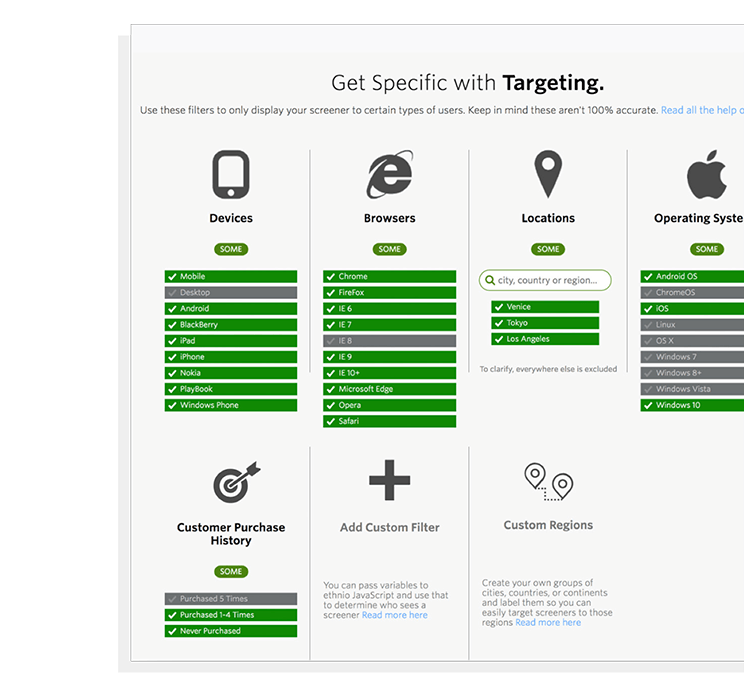 Show your intercept to a specific region, device, or even pass data about your users to Ethnio using our custom targeting filters. Get exactly the right people in the right moment. Ethnio makes sure no external code is going to slow down your site or app. 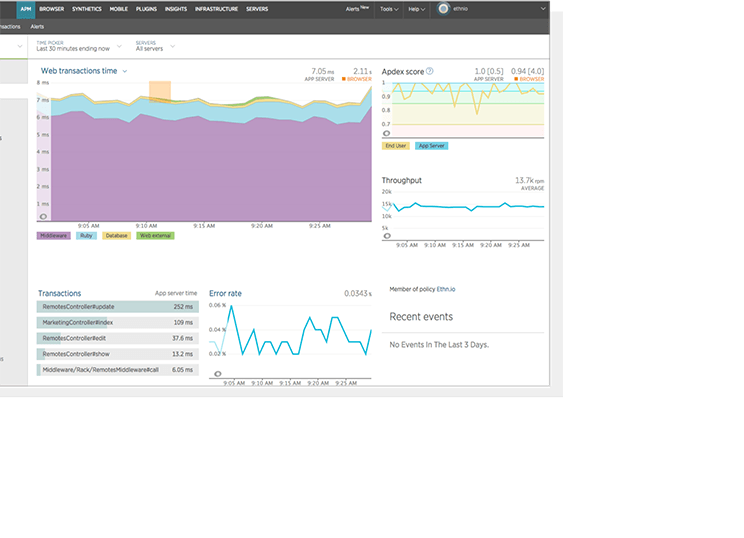 With an average load time of 8ms Ethnio uses Pingdom, New Relic, and other industry-standard tools to measure performance. You can always check stats.ethn.io for the latest. Worried about too many intercepts? Already running Intercom, Qualtrics, and other intercepts? The last thing you want is another. You want to do great UX research recruiting. Guarantee your visitors don't get bombarded with more than one intercept at any time. 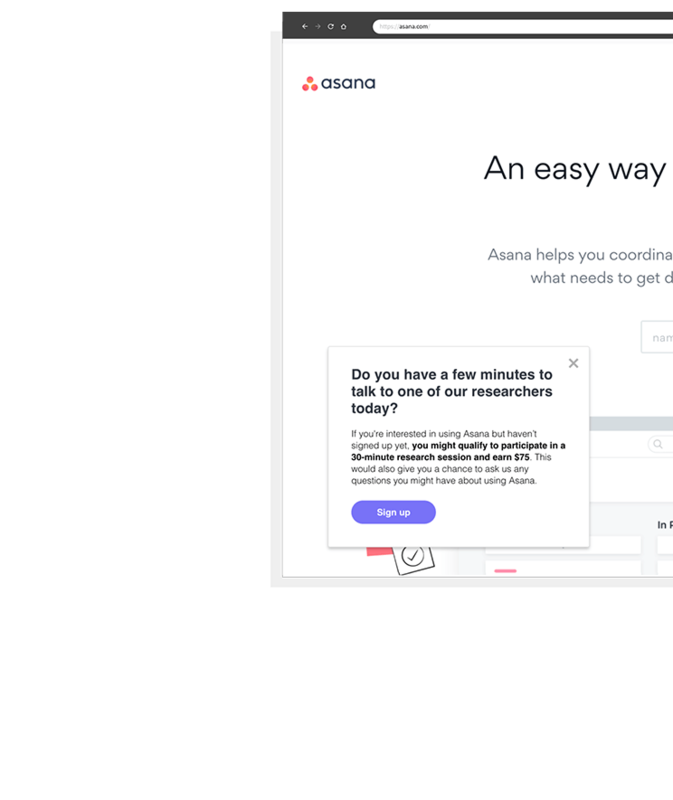 Create simple surveys as part of the screener tool and get instant feedback on your most important customer, and product questions. With the ability to download a list of responses or even a filtered responses you can manage every stage of your workflow. For most types of qual research, whether scheduling 1:1 sessions or recruiting for a diary study, the Responses section gives you powerful tools to find the right participants. Get feedback from stakeholders—generate a URL that hides PII and lets your stakeholders comment on potential participants.